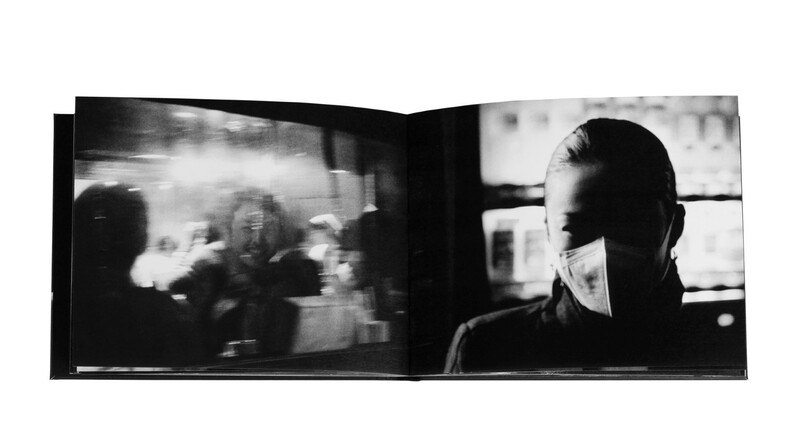 Black and white photography is often used simply because of its inherent difference to the usual experience of sight, but here the darkness of each page (and indeed the covers) acts as a frame. 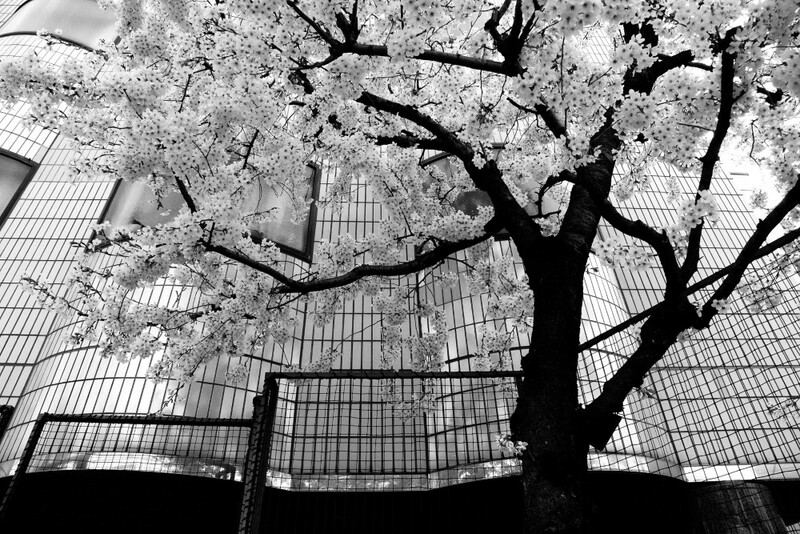 Tokyo, like many of the world’s great cities, exists in two incarnations: as a real, functioning city, with all the stories and divides inherent in such a mass of people and culture, and also as an idea disseminated in all the cultural artifacts that reference it – the neon lights, crowded subway trains and Harajuku girls which appear in films, art and pop culture around the world. 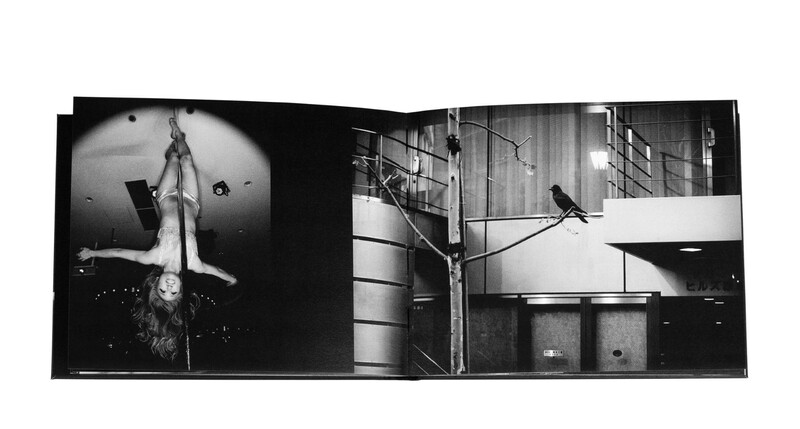 “Tokyo Blur”, by César Ordóñez, finds something of a middle ground between the two. 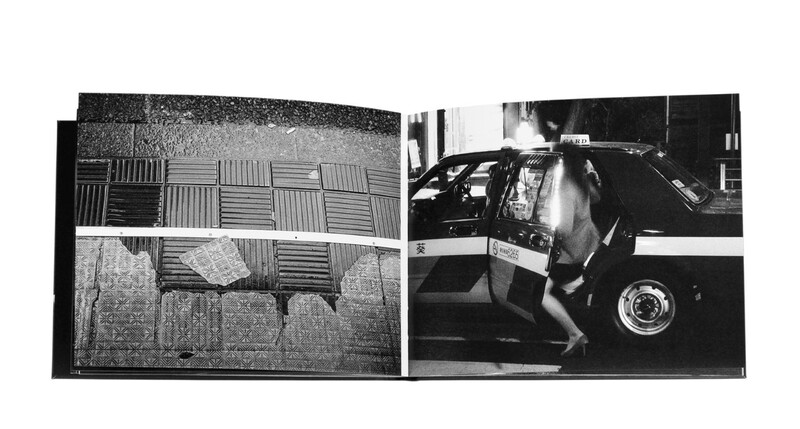 Presented as a trip through Tokyo, perhaps even snapshots of one wild night out, Tokyo Blur shows the reader a clear view from a back-row seat; black and white photography is often used simply because of its inherent difference to the usual experience of sight, but here the darkness of each page (and indeed the covers) acts as a frame. 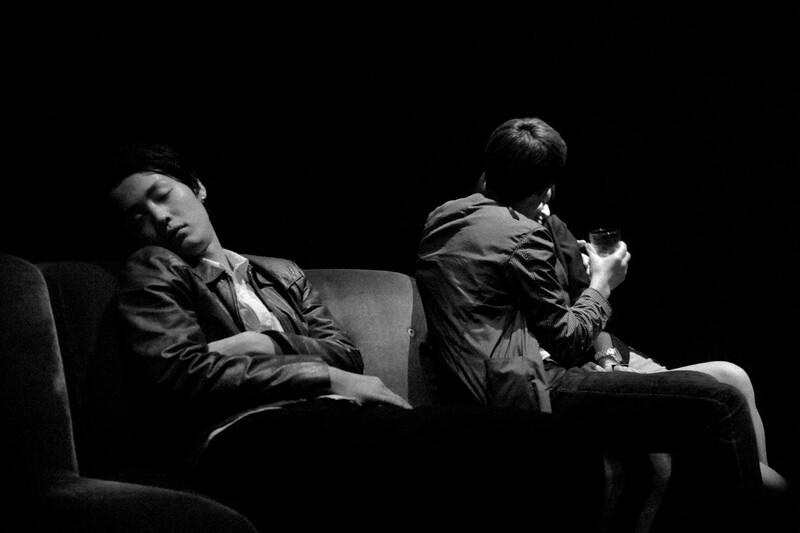 The darkness and the rain-blurred images bring to mind a memory aid for a really good night out; the few faces we see verge between happiness and exhaustion, the images of cabs suggesting a mammoth crawl through nightclubs and bars. Interspersed are stark day-lit shots, and jumping out as they do from the night and the rain which precedes them, have the effect of the sudden realisation of morning. The darkness and the rain-blurred images bring to mind a memory aid for a really good night out; the few faces we see verge between happiness and exhaustion. 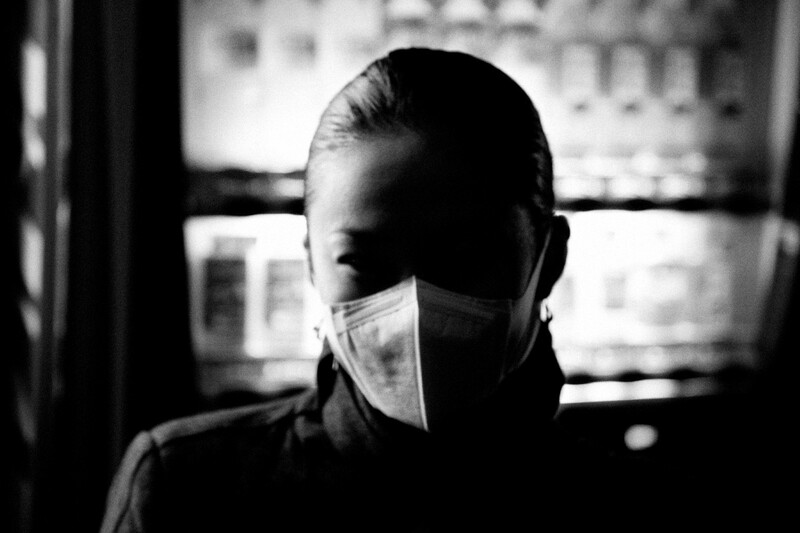 Ordóñez’s camera roves with an outsider’s perspective, drawing attention to the cherry blossom and face masks which Tokyoites are fully familiar with, but his journey through the city is not so much a tourist trip, more a night-time adventure. The photography is interesting enough to make the viewer read into each picture; one can easily imagine that an interesting story goes with each, and that the journey as a whole is a tale worth telling. 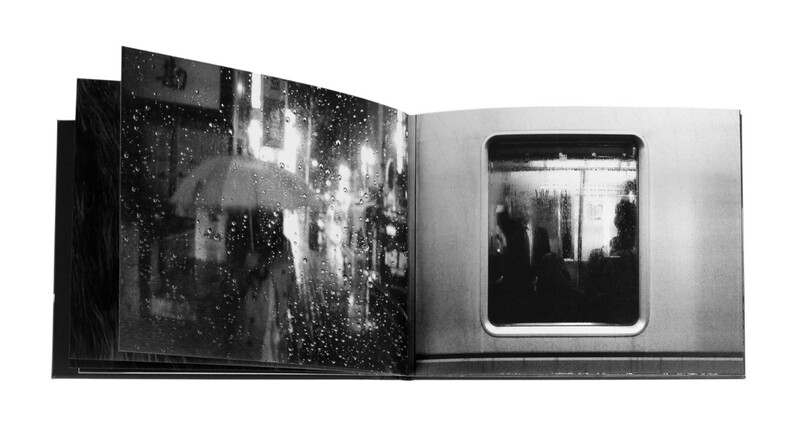 The final image, an unfamiliar landscape of Tokyo with Mount Fuji rising in the distance, perhaps sums up what this book tries to say best of all: that Tokyo is a place of great familiarity, but a real place filled with real people nonetheless. 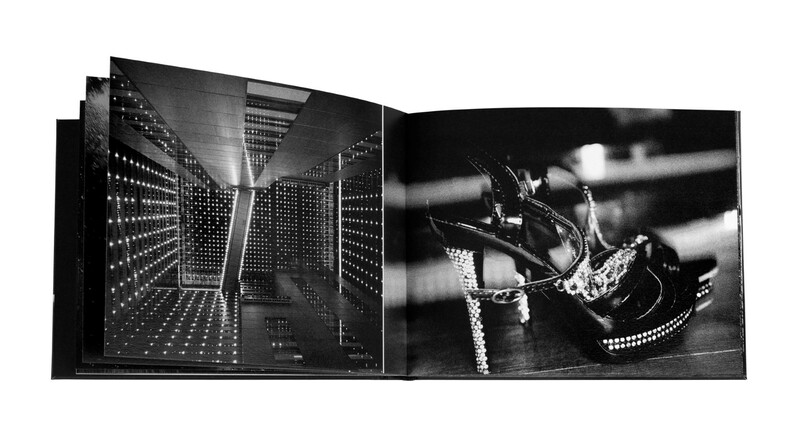 It is as a collection that this book works best though; one is left with the sense of having been along for the ride, and Ordóñez brings great joy to what could otherwise be a dark and gloomy series through the ordering and juxtapositions that appear throughout the book: the diamante shoes alongside the glittering lights of a building; the packed dance floor alongside a man in suit in a crowd; the pole-dancer hanging upside-down alongside the crow on a bare branch. Ordóñez makes this a personal journey, and the reader becomes his passenger, looking through the blurred windows and rain-swept night and trying to piece together the night before the morning after; it wouldn’t be hard to imagine this book resulted in a sore head and a dry mouth, and feels all the more vital for it. 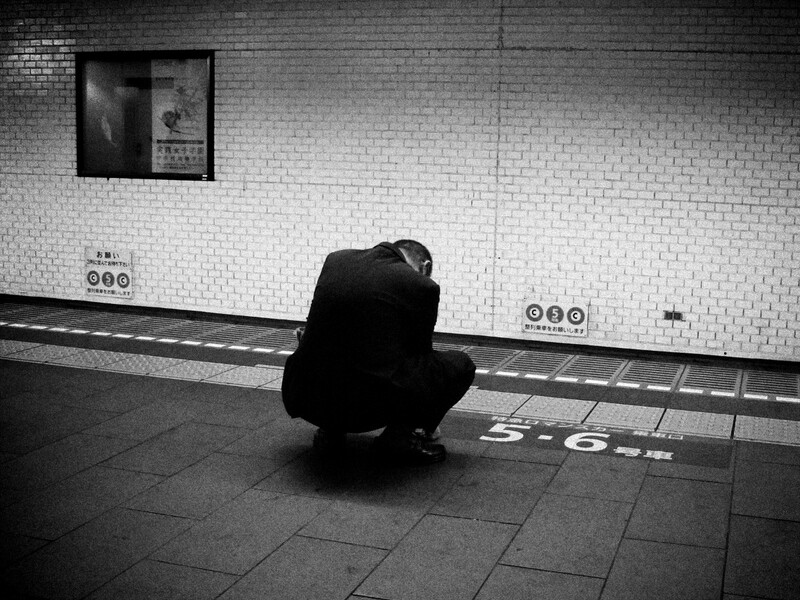 Posted in Reviews and tagged Book Review, Cesar Ordoñez, grain, Harajuku, Nightclub, Photobook, Review, Spanish Photography, Tokyo, Tokyo Blur, Tom Medwell.